Join us for our annual Cinco de Mayo Parade, starting at the corner of Hamilton and Texas in Downtown Houston. This festive parade will gather elected officials, members of the community, businesses, schools, colleges, and others to walk and dance to the rhythm of Hispanic music. 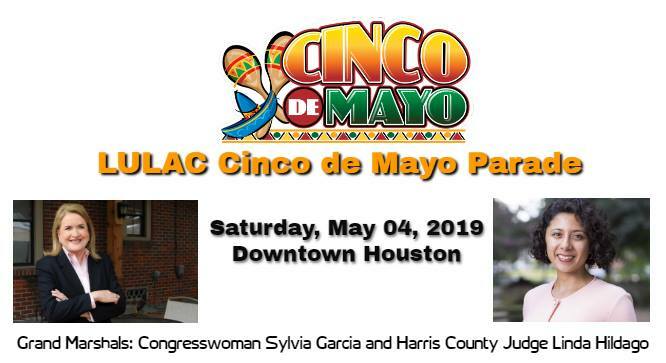 Our 2019 parade grand marshals are Congresswoman Sylvia Garcia and Harris County Judge Lina Hidalgo. We hope to see you there!! !